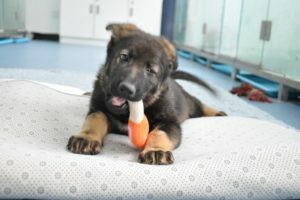 China will start the training of its first cloned police dog, a Kunming Wolfdog named Kunxun was created by using cells from what the Chinese police called “Sherlock Holmes” of the canine law enforcement. This was done as a part of a program that will help them reduce the training time and the cost of police dogs in the near future. Sinogene Biotechnology said that on Kunxun was born on December 19, 2018 at 540 grams and was 23 centimeters in length. Kunxun was created by using the genetic material of Huahuangma, a female police sniffer dog who is 7-year-old, she has helped the police solve 12 murder cases and has been part of solving more than 20 criminal cases. China’s Ministry of Public Security gave the first-class meritorious dog award to Huahuangma in 2016. The Ministry of Public Security, Sinogene Biotechnology, and the Yunnan Agricultural University are conducting the cloning project together. Last year, scientists started to cultivate the cells of Huahuangma from its skin samples. Substances of the somatic cell were implanted into an egg cell that had its nucleus removed. Then, the embryo was transferred to a beagle. The DNA of Kunxun is the same with Huahuangma’s by 99 percent. A couple of weeks ago, Kunxun who is currently 3-months-old started its training at the Kunming Police Dog Base in Yunnan Province of China. 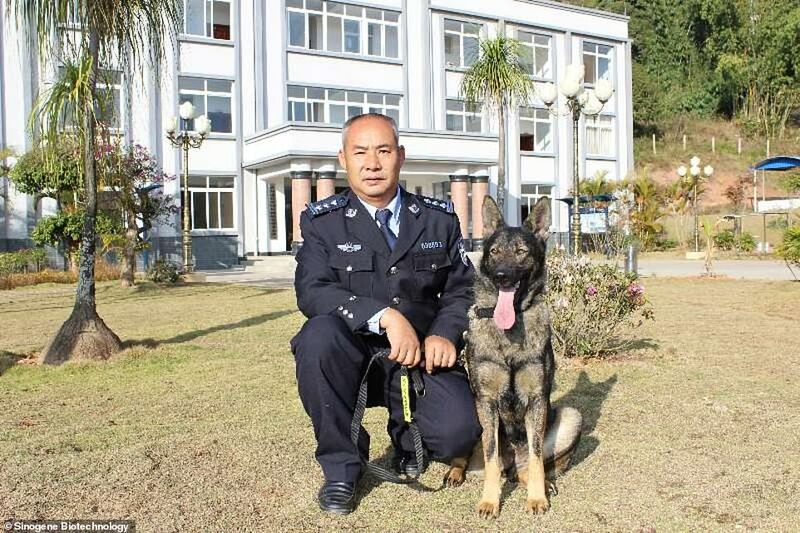 Wan Jiusheng the leading researcher of the Kunming Police Dog Base said that Kunxun is showing a “better potential” than the other non-cloned Kuming Wolfdogs. If the cloned dog passes its training, she will become an official police dog when she turns 10-months-old.